There’s no doubt that the winter of 2017-2018 has been much harsher than the winter of 2016-2017. We have had significantly more snow in Bloomington, Minnesota and the surrounding suburbs than last year as well as very cold days. It might seem like spring will never arrive, but we assure you that it will. 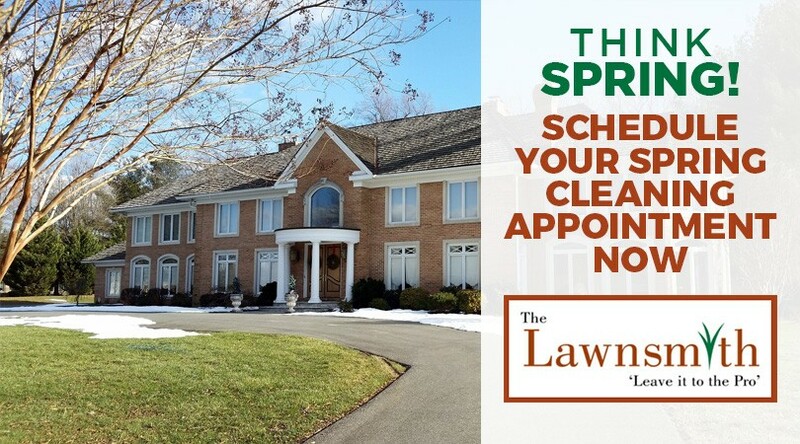 Scheduling your spring cleaning appointment from The Lawnsmith now can even help to get you in the springtime state of mind. You will beat the seasonal rush, and your lawn and garden will be well-prepared for the growing season ahead. Whether it’s before or after the official start of spring on March 20, our crew will arrive at your property prepared for a day of hard work. That includes removing debris from your landscape beds and lawn that can cause problems with growth once spring finally does arrive. We also clean in and around your window wells using specialty equipment. When cleaning your lawn and landscape beds, a member of our crew attaches a long metal rake to a lawnmower to give your turf an introductory light raking. For the next step, we gather all lawn, garden, and window well debris together using a backpack blower and hand rake. This makes it easy to pick up the pile and promptly remove it from your property. You might be surprised at how many bags we end up hauling away. After cleaning your lawn, yard, and garden, we may recommend that you schedule another session for lawn aeration. The beginning of spring is the perfect time for aerating due to compaction of the soil during the long winter. When the soil becomes too compacted, it creates a build-up of thatch that damages the roots of your lawn. With our aerating equipment, we punch holes approximately up to four inches deep to enable your lawn to get the nutrients it needs during the warm weather months ahead. This includes fertilizer, oxygen, sunlight, and water. The reason we recommend early spring for lawn aeration is that your grass is growing quickly and can recover from the stress of the process faster. Although the weather is warmer later in the year, your grass grows slower. Of course, aerating might not be right for your lawn right now. We will be sure to recommend any other services it could use at the completion of our spring cleaning session. Waiting until spring is actually here to schedule your appointment could result in having to wait longer than you would like. We encourage you to contact The Lawnsmith today at 952-937-5002 or complete an online request form and we will get back to you shortly.